This is a really beautiful book. 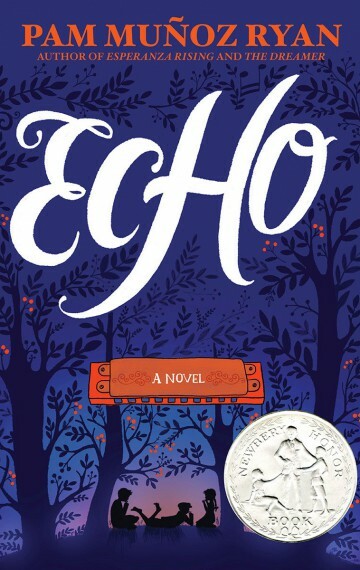 The writing is simple and evocative, and the premise of a magical harmonica reaching these children in different times and locations is lovely. The ending, in the hands of a lesser writer, would be cheesy and cheap, but because the author lets the reader fully feel the pain of the characters–and ends each section abruptly, allowing the reader to fear the worst–the ending not only feels earned, but is a relief and a catharsis. I don’t want to write too much because I went into the book pretty cold, and I think that’s the best way to read it because of the emotional impact. 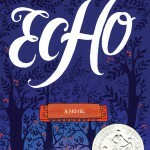 I did like Esperanza Rising, which is by the same author, but Echo is a far more ambitious and powerful book. It’s a very unique style of fantasy, with an interesting structure. 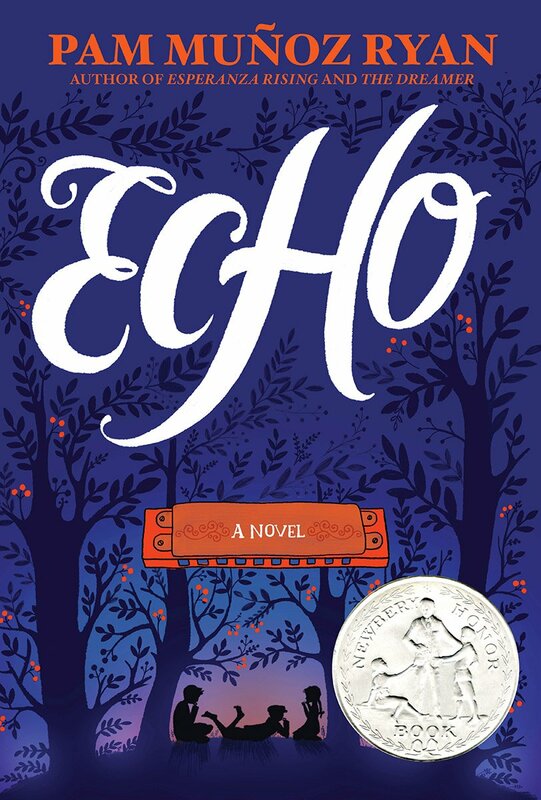 I’m using this book as an option for my hero tale themed literature circles, which will be interesting since it doesn’t neatly follow that structure. The bulk of the book spans the ’30s through WWII, so there are clear American history connections. I think it would work well to read this with a 4th or 5th grade class, either from an immigration perspective or a Great Depression/WWII one. I’m really happy to see a book at this AR level be worth so many points. It’s a long book, so reading something that long and worth so many points will really give students a sense of accomplishment. Especially for middle schoolers who might be sensitive about reading a book at that level.